Formed in 2012, in the Nagoya region of Japan, identical twins Mana (voc/keys) and Kana (gt./cho.) would ask fellow high school classmate, Yuna (dr./cho. ), and later Yuuki (ba./cho. ), a college acquaintance, to join what we now know as CHAI. 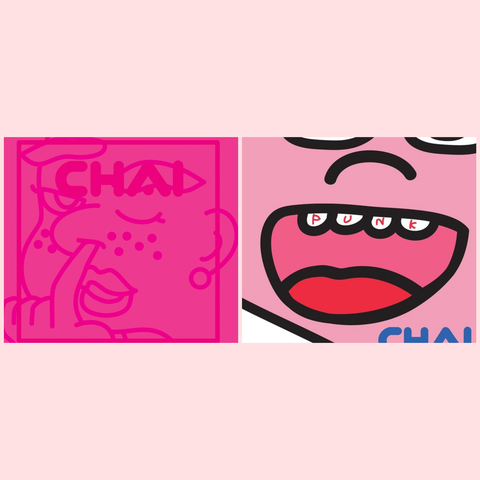 Both independent releases, "Hottaraka Series" which translates to "irresponsible series", was the title of CHAI's 1st EP released in December of 2016, soon followed by "Homegoro Series", their 2nd EP, released in April of the following year. 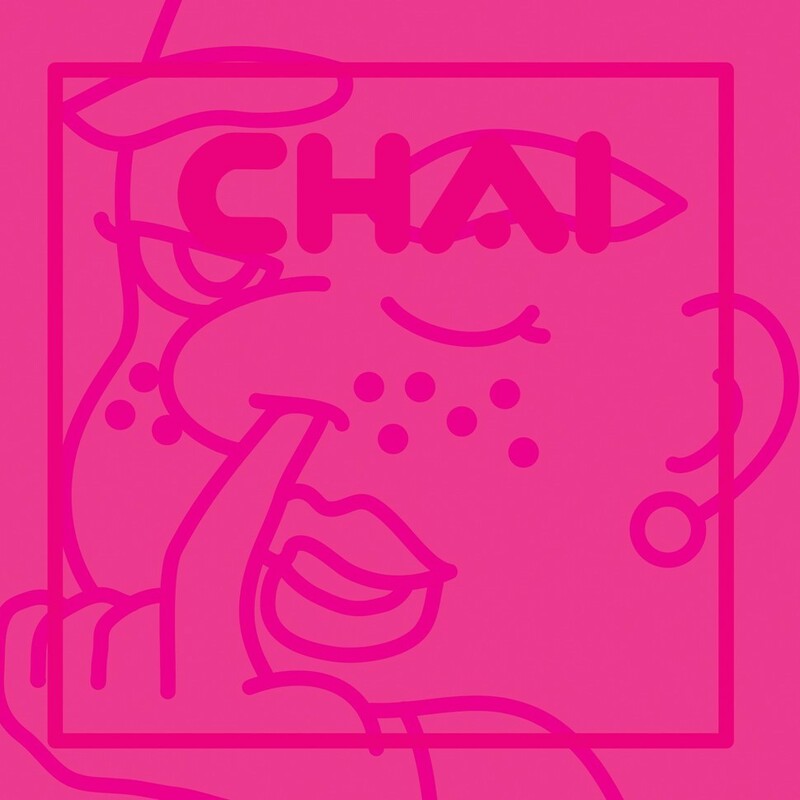 CHAI scored their first US performance at SXSW 2017, followed by a series of performance dates in New York, Chicago, Seattle, Portland, San Diego, San Francisco, and Los Angeles, a mini American tour titled "Japan Nite." Series". They trade delightfully simple synchronized dance moves. They perform an a capella, Japanese-language cover of ABBA’s “Dancing Queen.”. 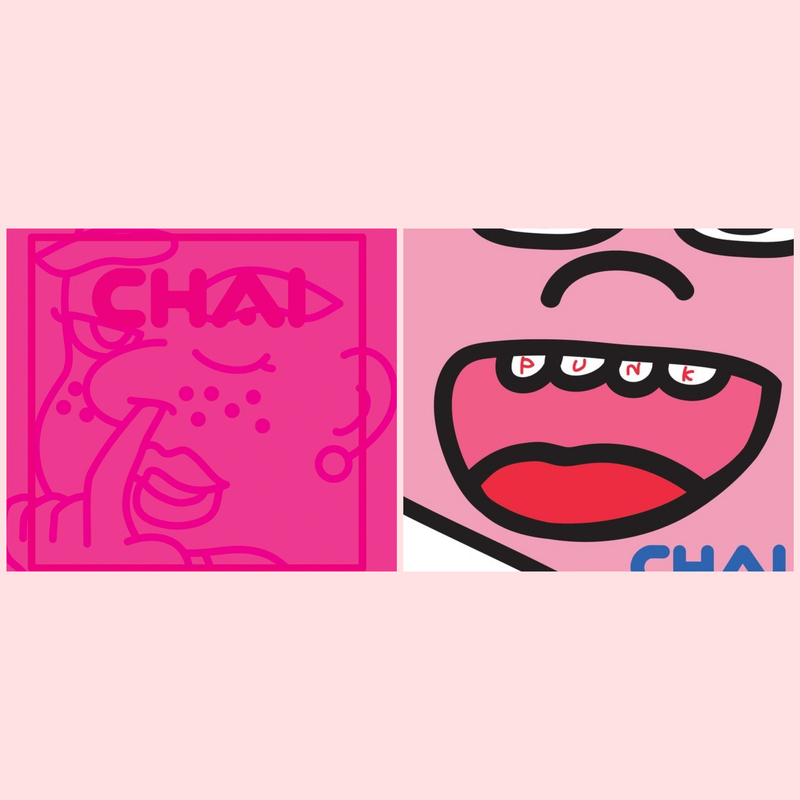 When you think of all things Pink, a sound that fuses the likings of Basement Jaxx, the Gorillaz, CSS, and Tom Tom Club, with lyrics focused on "women empowerment" and re- defining the definition of "kawaii" or cute in Japanese, you think of CHAI. Throughout Pink, propulsive drumming and winkingly aggressive instrumentation bolster some of the most passionately silly punk vocals in recent memory. These crowd-pleasing embellishments are all in service of the exuberant, sleek mashup of pop, R&B, funk, rock, and hip-hop that comprises Chai’s fantastic debut, Pink. The Nagoya-based band’s second album, PUNK, is terrifically over the top. The current landscape of indie rock produces songs with heavy notes of loss and longing. 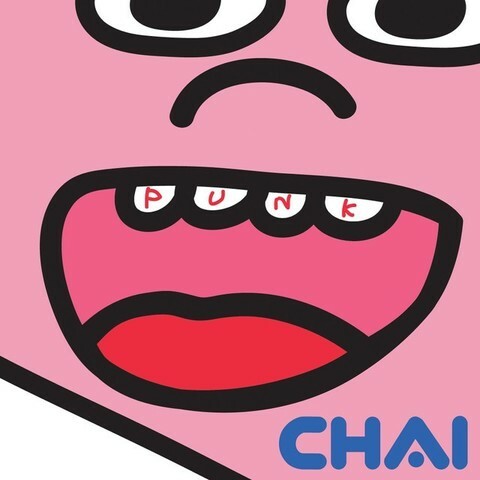 CHAI don’t make punk music in the most puritanical sense of the word, but their sophomore album PUNK is named that for a reason. It’s part of the Japanese band’s concerted effort to break down barriers of entry, poke holes in words as institutions and morph them into communities that are open to everyone. But Chai is a band who screams yes to joy, and PUNK is a record written in earnest about being yourself, loving your friends, and not caring about what anyone else thinks about the way you live your life. “I don’t know about the world but I know me/I don’t hide my weight,” vocalist Mana sings elsewhere in “I’m Me.” PUNK is full of that kind of bluntly feminist songwriting. If empowerment is uncool, the women of Chai would choose to be uncool every single time.